The Dissident Arts Festival 2014 is produced by Dissident Arts and the El Taller. Curator/host: John Pietaro. Magma: UNreleased 1974 Live! Steve Lehman Octet returns! Kali Z. Fasteau/Kidd Jordan/J.D. Parran! Paul Dunmall/Paul Rogers/Mark Sanders! David Boykin Trio! Tony Bianco Utoma Qt! Agusti Fernandez/Mats Gustafsson! Mario Pavone Two Bass Sextet! Carrier/Lambert/Lapin! Ted Rosenthal Trio! Mikolaj Trzaska Riverloam Trio! Roy Nathanson’s Sotte Voce! David Binney/Adam Rogers/Wayne Krantz/John Escreet All-Stars! Ursel Schlicht DVD! Seamus Blake & Opus 5! Kirsten Carey’s Ulysses Project! Jeremy Steig‘s Flute Fever! Moebius/Story/Leidecker! Bremen! Philip Glass! Gabor Szabo/Bobby Womack! Pat Mastelotto/Tobias Ralph: Toparama! plus More than a Dozen Discs from Crimso’s Extended Family! 6pm: THE CORE TRIO: THOMAS HELTON/SETH PAYNTER/JOE HERTENSTEIN + Special Guest STEVE SWELL! 6pm: DEVIN BRAHJA WALDMAN/DANIEL CARTER/RUSSELL BAKER/WILL GLASS! – Alto ax/Reeds & Brass/Trumpet/Drums. 6pm: TESLA COILS: BLAISE SIWULA/GIAN LUIGI DIANA/HARVEY VALDES! 7pm: HARVEY VALDES TRIO: SANA NAGANO/JOE HERTENSTEIN/HARVEY VALDES! 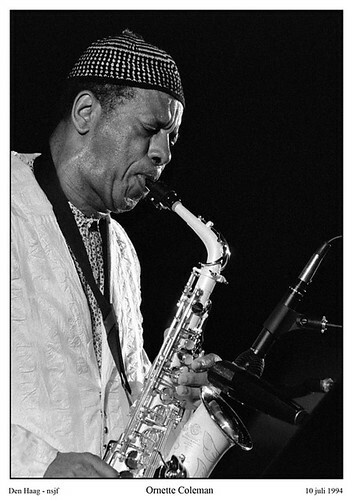 An Ornette Coleman Tribute at Celebrate Brooklyn!